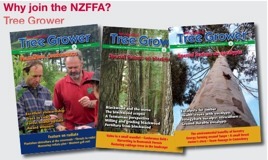 Julian Bateson, New Zealand Tree Grower August 2014. It might be a good idea to start with some good news, or relatively good. The injury rate in the forestry industry for the first five months of 2014 was about half the rate of the same period in the previous six years. WorkSafe calls them serious harm incidents, but injury rate is what it really means. As you can see from the table it is still 46 too many, but significantly less than the previous average. Forestry deaths for the same period are also lower than for previous years, approximately half that of the preceding six-year average. The number of deaths is significantly less than the appalling number in 2013. Why there is this significant reduction in injuries has not yet been explained. I have been told that the opinion of someone from the Forest Owners Association is that the figures are a statistical ‘blip’ similar to one which occurred over 10 years ago. I hope this is not the case. I would suggest it is probably the result of a programme of tough WorkSafe inspections and enforcement, combined with a greater awareness across the industry that safety has to be a top priority. This is just my opinion and there will be other factors involved. However, it is a good sign and if the improvement continues, with another similar reduction in the second half of the year, the outlook is promising. One point to bear in mind and not mentioned here is how many people work in the forestry industry and the injury rate per person. Figures which I have been given by those who apparently know these things, such as the review team, say that between 5,000 and 7,000 people work in the forestry industry. I have no reason to doubt these figures. If we do a simple calculation based on the higher figure of 7,000 and the average number of injuries of just over 180, we see an injury rate of one for every 40 workers each year. On the current figures for 2014 this is now reduced to one in 63, but it is still a worryingly high number. Is it really that high? In March the Independent Forestry Safety Review was up and running as mentioned in the last Tree Grower. We all know of the forestry fatalities in 2013 which triggered this review. It is independent but is not, as many people still think, being funded by the government. The money, all $500,000, is coming from the NZ Forest Owners Association, the Forest Industries Contractors Federation and the NZFFA. It is probable that if this independent review had not been set up the government would have carried out its own review. First of all the review team were on a steep learning curve because they were all independent, with no connections to the forest industry. This meant that they had to learn a lot very quickly. I have my own views about using competent professionals who know virtually nothing about a project before they start, as opposed to having some review members with significant experience of the matters involved. 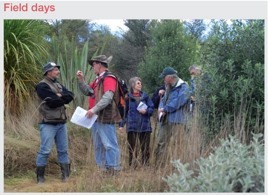 After a few weeks of listening, learning and visiting various aspects of the forestry industry the review team ran a series of workshops around the country. Some of you in the North Island living south of Rotorua may have wondered why there was no workshop you could easily attend without using up a lot of travelling time. I was told by a member of the review team that no-one asked or they would have organised one, although I remember specifically asking for a meeting in the lower North Island. I was also given an alternative answer which was that there was not enough money. Whatever the truth is, it did deter some people from being able to attend a workshop. For those of you able to find the time I am sure you found the workshops to be a very useful experience. I was quite sceptical before the beginning of the workshop in Nelson, the closest I could find to Wellington. However it proved to be an enlightening day for the 70 or so attendees and well worth the time. The workshops were a standard format with a range of questions to be answered and problems to be solved. I admit to being very irritated by the fact that the organisers insisted there were ‘issues’ to be solved. I tried to explain that you cannot solve an issue, but the presenter gave me a blank look when I suggested the word issue be changed to the correct one ‘problem’. It is not a pedantic concern. If you cannot admit to having problems how can you seriously find solutions? At the Nelson workshop one problem for forest safety kept being raised. It was the stop-start harvesting in small-scale forests and woodlots. It was made quite clear that if the contractors cannot plan ahead they are less likely to be able to invest in better machinery and training. As has happened recently with the price drop for exported logs, harvesting of small-scale forestry is frequently put on hold or stopped at very short notice. It was suggested by a number of those at the workshop that if farm-foresters and small-scale foresters can find ways of working together when harvesting, it would give longer term contracts and continuity of work which would be a great safety benefit. I do not know how much this was discussed at the other workshops around the country, but it was very much the main concern at the Nelson meeting. The review consultation document was released at the beginning of June, was around 100 pages long and raised a lot of questions. Anyone could make a response. The NZFFA Executive put together a joint response answering the questions raised but also made some suggestions in a preamble. The suggestions were about small-scale foresters working together, particularly when harvesting, helping address the concerns mentioned earlier. The full response to the review is available on the NZFFA website. The future will be different. Working on your own woodlots has been a pastime for many members of the NZFFA, and many non-members as well. Hopefully this can continue, but a woodlot is usually some kind of commercial venture. Therefore most, if not all work falls under the current Health and Safety at Work Act and will fall under the new Act when it becomes law sometime next year. With the new Act will come changes, although not a lot is known at the moment. In general until now, apart from large harvesting operations, many people have assumed that you can plant, prune and thin your trees as you wish without reference to the Health and Safety at Work Act. However this is not necessarily the case. For example, if you plan to carry out some thinning you need the form ‘Notification of Particular Hazardous Work’ from WorkSafe. You are required to fill in the relevant details and send the form back. As you will see at the top of the form shown at the top of the next column this has been a requirement since 1995 but I would doubt many of you knew about this. Even if you are only working on one tree, if it is part of ‘any logging or tree felling operation... undertaken for commercial purposes’ the Health and Safety at Work Act applies. I would expect that the results of the review and the new Act will clarify more clearly what a forest owner needs to do to stay within the law. The good news is that the new law will use the term ‘reasonably practicable’ when defining your responsibilities. This means that you would be expected to do what you can where it is deemed to be reasonably practicable in the circumstances. It is a fair way of making a judgement. WorkSafe has carried out a concentrated series of inspections over the past year. The first was of the cable hauling harvesting operations or breaking-out and then of tree felling contractors. The first set of inspections resulted in 300 warning notices and 10 per cent of the operations were closed down for limited periods due to breaches of the law. The second set of 127 inspections of tree felling resulted in 235 notices, of which 36 of these were prohibition notices.The fact that there are more notices than inspections is because some operations received multiple notices. What is important here is not just that these harvesters were working in an unsafe manner, and that they have been inspected and required to improve or closed down until they do. If you had engaged the harvesting contractor who was then given a warning notice you would not get any of this information, such as a copy of an improvement or prohibition notice, unless the contractor gave you one. But you would be the principal with responsibilities if someone was injured, whatever the reasons. This is a problem. If you did not know, how could you be responsible? It is for this reason it is vital that any contract must contain a clause making it clear that you have to be informed immediately if the contractor receives any warnings or notices from WorkSafe. Another new publication has just been produced Safe retreat positions in breaking out. This booklet is for contractors and principals involved in cable harvesting operations. Many of you will not be directly affected by cable harvesting, but some of you will have your trees harvested using this process. As mentioned earlier if you have engaged the contractor, you are a principal and therefore still have responsibilities. The booklet is clearly written and easy to read. The first part is relevant to anyone planning a harvesting operation. The second part goes into detail about the safe way to carry out cable harvesting and is more relevant to a contractor, but well worth reading if you are planning or carrying out a log harvest project. I tried to obtain a copy of Safe retreat positions in breaking out for every member of the NZFFA, but failed. I only received about 100 copies. If you want your own copy call WorkSafe on 0800 030 040 and ask for one to be sent to you. I will not repeat the saga of the past four years of stop-start with this project which has the aim of improving safety in small-scale forests. It has been the subject of many of my safety articles. The problem which cropped up in June was that ACC have now significantly changed their approach to managing safety. As a result they wanted to put the best practice guidelines for small-scale forestry on hold for a few months. I will make no predictions about when it will be resurrected. The good news is we still have some of the money. Julian Bateson is the NZFFA health and safety representative and is a member of the levy supported committee.